Though Davidson and Cornelius neighbor each other, the two Mecklenburg County towns are hardly cut from the same cloth. They beautifully coexist, but each town still stands out on its own. 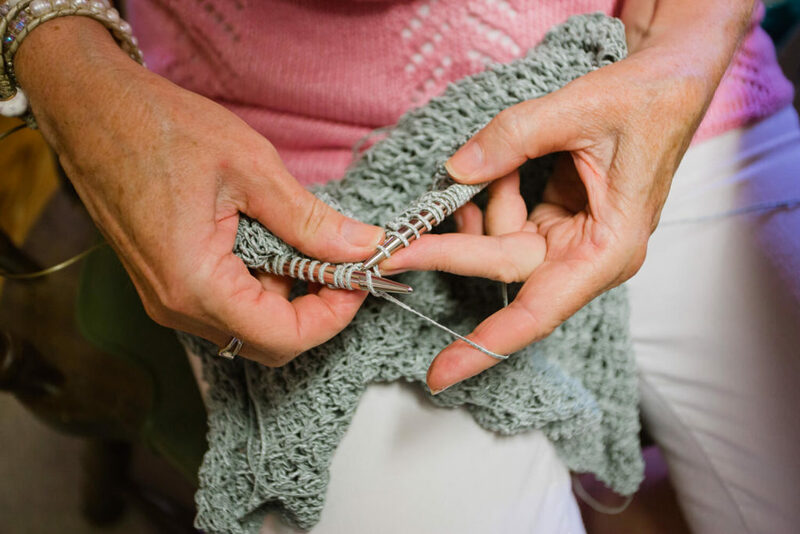 Sitting at the wooden table situated in the front of The Needlecraft Center, the Main Street shop that she’s owned for 45 years, Elaine McArn is surrounded by yarn spools. As knitting needles dance delicately in her hands, she peers through the glass each day to watch life unwind on Davidson’s sidewalks. The characters that saunter in and out of view are just as colorful as the fiber she’s holding. Children with ice cream dripping down their lips. Professors carrying stacks full of books at their sides. Charlotteans pausing at storefronts, taking a break from city life. Life is best captured on Davidson’s sidewalks, but it flourishes on front porches in down-the-road Cornelius. If two’s company, but three’s a crowd, then four is the precisely perfect number of rocking chairs on a Cornelius porch. 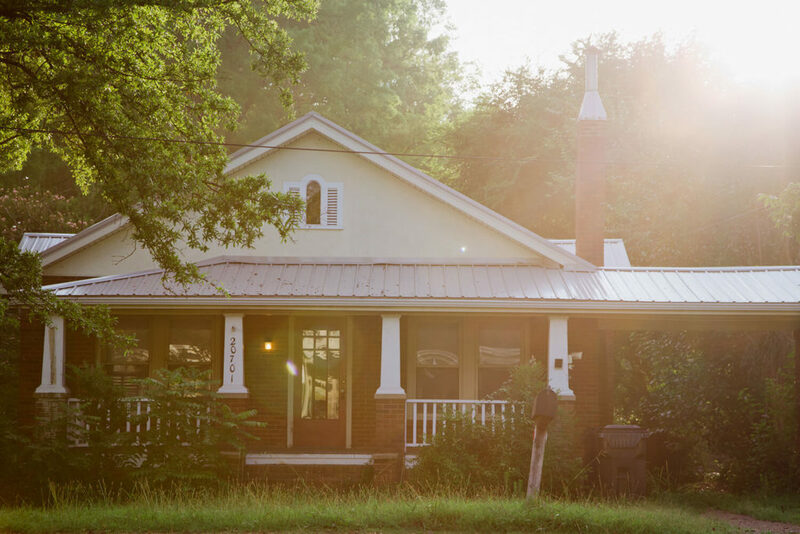 In summer months, these porches are stages, where friends gather to soak in the light from the setting sun. And come rush hour on any day of the year, Cornelius’ beloved Waving Man posts up on the porch of his duplex to do what he’s done for the past three decades: wave at strangers-turned-friends in cars that drive by. Two towns, one road. The patchwork of Davidson and Cornelius is best reflected by the towns’ shared Main Street. On one end: impressive lawns belonging to an equally impressive college that bears the town’s name. On the other: untamed yards that sprawl before friendly bungalow houses with metal roofs. However different Cornelius and Davidson might appear from each other, both are imbued with collective pride and love felt by those who live here. They are uniquely spirited but happily coexist, with many locals living in one town and working in the other. These are two towns that thrive on the differences between. “You don’t want to go out the door and see yourself,” McArn says. Those who live here wouldn’t have it any other way. But just over century ago, the relationship between Davidson and Cornelius was frayed, and it was the very cotton that the region was built on that tore people apart. Before 1893, there was no Cornelius. In the years before that, Davidson’s two major cotton firms were at odds about whether the town should appoint an official cotton weigher. When someone was eventually appointed following a contentious election, the firm in opposition moved its operations just outside of the Davidson town limits. The new location turned out to be convenient for many of the cotton farmers, and the industry began to grow. Cornelius was established, and Davidson was the town that became two. “Cornelius has always been founded on the people’s movement of really being free and owning yourself and commerce,” says Jessica Boye, who is part of Bella Love, a team that is helping to revitalize Old Town Cornelius. While Davidson has long had the college as its stable pillar in good times and bad, Cornelius was more closely tied to the textile industry that unraveled over the decades. Revitalizing Cornelius has required collective scrappiness, and the town’s residents are protective of their own. Everyone loves an underdog. “You never know when someone you’re going to meet will be a small piece of the puzzle,” Katie Dixon says. Dixon’s fitness studio, Kadi Fit, is a part of the Oak Street Mill, which serves as a creative hub for Cornelius. She regularly hosts community events in the space to promote local makers and creators. The town is still largely residential with few restaurants and the like. Cornelius hopes to grow, but thoughtfully. Big-box stores lay claim to much of the I-485 corridor, but for one reason or another, reverence for the past is particularly strong on the remote northern edge of Mecklenburg County. “People see the beauty in what already is, and not necessarily what’s new,” Dixon says. While Cornelius is still forging its identity, Davidson hopes to hold onto its own. McArn, who has lived in Davidson since she was 4-years-old, will hear from those who visit over the years about how much they believe the town has changed. You know it has by the way strangers still say hello to one another while walking down the street. 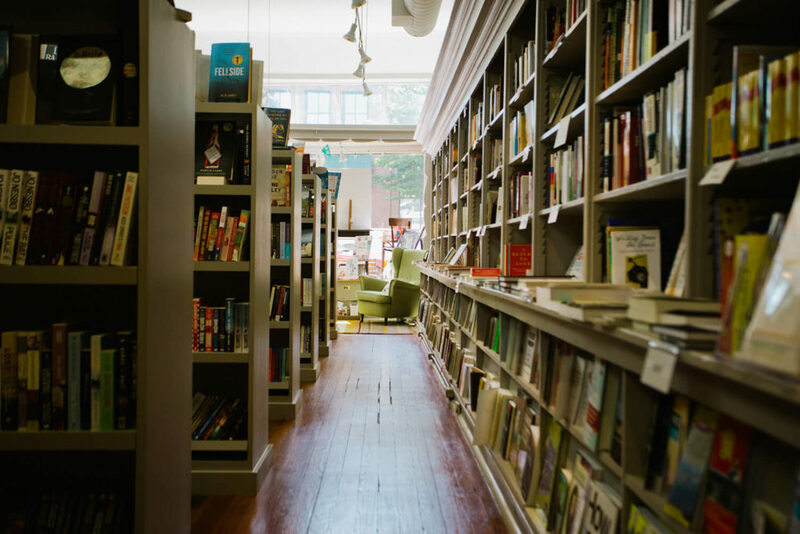 Raeford’s Barber Shop’s iconic striped pole and the well-curated shelves at Main Street Books — “A real, live bookstore!” McArn exclaims — remain sentries of small-town tradition. 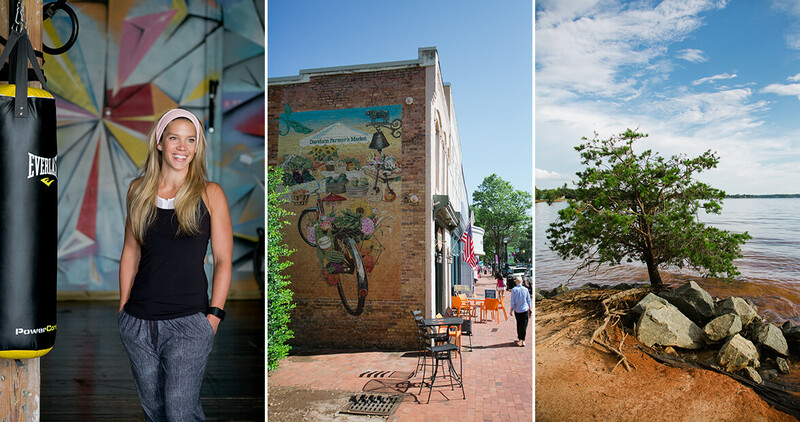 Davidson’s newest keepers are just as passionate about holding onto to what makes the town special while still realizing the potential to make it better. In 2015, Davidson has earned itself national recognition as a culinary destination with the opening of Kindred restaurant. The world-class talents of chef Joe Kindred and his wife, sommelier Katy Kindred, come through in elevated but approachable dishes. The cuisine is different from what Davidson was used to, but Southern flavor still finds its way onto the menu. After all, Joe did grow up here. Torn apart by cotton, now tightly knit, Davidson and Cornelius are each defining their own legacy, side by side.